Tackling America’s Opioid Addiction Epidemic is the focus of a special program Thursday at the University of Kentucky. Sam Quinones, former LA Times journalist and author of “Dreamland: The True Tale of America’s Opiate Epidemic,” will give a public talk on his book, and Kentucky’s significant role in spreading the crisis. After wrapping up the Fulbright Visiting Scholar Enrichment Seminar on addiction last week, the University of Kentucky will welcome another acclaimed author and journalist this week to campus to hear his insights into America's opioid epidemic. Sam Quinones, former reporter for the Los Angeles Times and author of "Dreamland: The True Tale of America's Opiate Epidemic," will give a public talk 10 a.m. Thursday, March 28, in Woodward Hall (third floor of the Gatton College of Business and Economics Building). All students are invited to RSVP for a meet-and-greet with Quinones at 2 p.m. Thursday, at the Martin Luther King Center in the Gatton Student Center. To RSVP, contact Tammy Arnold at tammy.arnold@uky.edu or 859-257-9293. "I first heard Sam Quinones at the 2018 Kentucky Chamber of Commerce Conference. His talk about the opioid epidemic was both powerful and compelling, and I immediately thought about the importance of our students hearing from Mr. Quinones," said Sonja Feist-Price, UK's vice president for institutional diversity. "I subsequently read his book, 'Dreamland,' which was rich with historical content and spoke of this persuasive issue in our state, region and country. I’m excited that our students will have the opportunity to hear and learn from Mr. Quinones." In "Dreamland," Quinones presents a revealing account of the corrosive threat of addiction facing America. By chronicling two stories of drug marketing: one within U.S. pharmaceutical corporations, and the other out of a small village in Mexico, the book reveals how the current-day opioid epidemic came to be. Winner of a National Book Critics Circle award, "Dreamland" was also named one of the best books of 2015 by Amazon.com, Slate, Buzzfeed, Audible and many newspapers across the U.S.
During his 10 years reporting for the L.A. Times, Quinones frequently covered issues related to immigration, gangs, drug trafficking and the U.S./Mexico border. He also authored two additional books, which were products from his 10 years of living and working as a freelance writer in Mexico: "True Tales from Another Mexico: The Lynch Mob, the Popsicle Kings, Chalino and the Bronx" and "Antonio's Gun and Delfino's Dream: True Tales of Mexican Migration." Quinones' talk and campus visit are sponsored by the UK Office for Institutional Diversity. In her inaugural State of the City address Tuesday, which she tweaked to include the "State of the County," Lexington Mayor Linda Gorton zeroed in on opioids and economic development as targets for improvement. Lexington Mayor Linda Gorton says it’s time to marshal the resources of the wider community if the city wants to get serious about blunting the effects of the opioid addiction crisis. What Can Be Done For Opioid-Addicted Moms And Their Babies? Every 25 minutes a baby is born suffering from opioid withdrawal; that’s according to a report recently released by the National Institute on Drug Abuse. What's It Really Like Inside Lexington's Needle Exchange Program? Independent Producer Nadia Ramlagan kicks off her series of reports on the opioid crisis by spending a day at the Fayette County Health Department's weekly needle exchange. 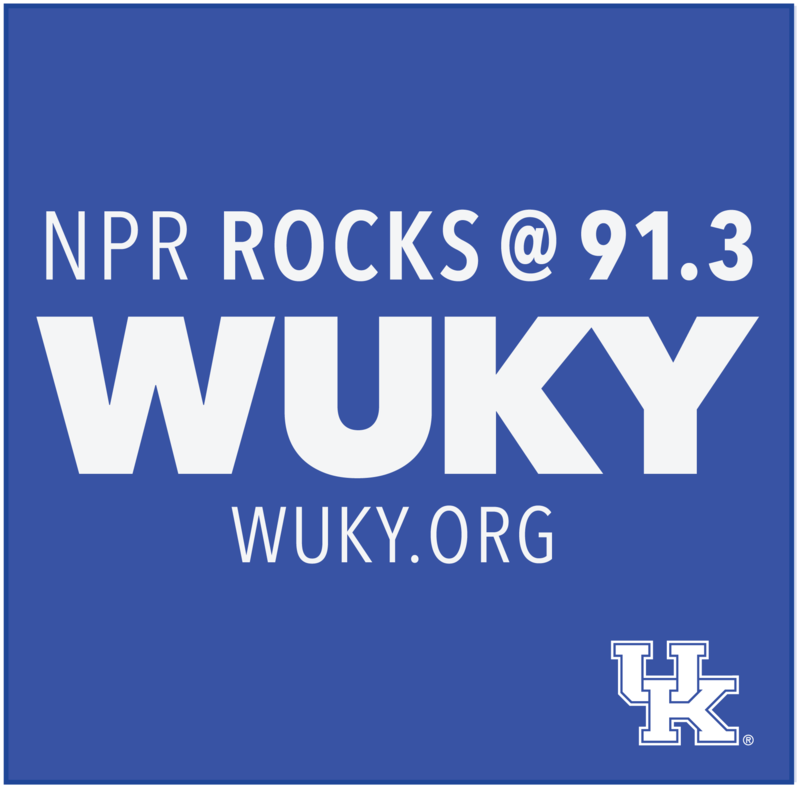 The OA Chronicles can be heard exclusively on WUKY. A Kentucky appeals court says the secret testimony from a former president of one of the world's largest manufacturers of dangerously addictive opioid painkillers must be released to the public.